Depart the Ultra modern city of Nairobi after breakfast and proceed south along the floor of the Great Rift Valley. Lunch enroute arriving at the camp in the afternoon in time for an afternoon game drive to this immense reserve with 590 square miles of rolling plains and wooded hills. You will have the opportunity to observe the magnificent game of the African wild in their natural habitat, spotting herds of elephants and prides of lions. Dinner and overnight at Samburu Serena / Samburu Sopa / Sarova Shaba. Samburu is rich in wildlife not seen in other parts of Kenya thus making it unique in a way. Here, you will find the long-necked gerenuk, reticulated giraffe, Grevy's zebra, endangered Beisa Oryx and the blue - shanked Somali ostrich, all common to the northern province of Kenya. Watch for elephant, rhino, lion, and buffalo. An occasional crocodile will appear on the banks of the Uwaso Nyiro River. All meals and overnight at Samburu Serena / Samburu Sopa / Sarova Shaba. Through the picturesque Rift Valley, today you head to Lake Nakuru, a shallow alkaline lake in the Rift Valley, renowned for its spectacular flamingo population. Although Lake Nakuru is primarily a bird sanctuary, there are a considerable number of animals to be encountered, such as the Bohor Reedbuck, bushbuck, and the rare Rothschild giraffe. Meals and overnight at Sarova Lion Hill Lodge /Lake Nakuru Lodge / Merica Hotel. Early breakfast, depart for The world’s most famous wildlife reserves, providing one of nature's most dramatic sights, the annual migration of over a million wildebeest, zebra and gazelle from the Serengeti in the south and across the Mara River into Masai Mara. Following their footsteps are Africa's predators; lion, leopard, cheetah and hyena. 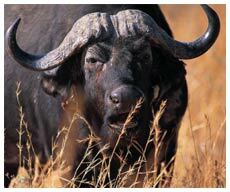 Spend a full day in search of Elephants, Buffalo, Lion, Zebra, Cheetah, Rhino, Wildebeest and other plains' game. All meals and overnight at Mara Serena Lodge / Mara Sopa Lodge / Mara Simba Lodge / Sarova Mara Tented Camp. Breakfast at the Lodge and then you will be dropped at the Airstrip for your domestic flight to Nairobi. You will be met on arrival at the Airport and taken to Carnivore for a quick lunch before heading south to Amboseli National Park, right on the border with Tanzania. This park affords everyone's classic image of East Africa - herds of great animals moving across the dusty plains with the snow-capped peak of Kilimanjaro rising straight up in the background. Mount Kilimanjaro is Africa's highest mountain at 19,340 feet (5,895 metre). Although it is situated inside Tanzania, the best views of the mountain are from Amboseli on the Kenyan side of the border. Arrive for dinner and Overnight at Amboseli Sopa / Amboseli Serena / Oltukai Lodge / Setrim Amboseli. A whole day spent in Amboseli National Park, famous for its wild game and spectacular backdrop of Mt. Kilimanjaro. 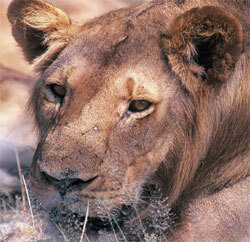 Here you will have the chance to see the Big Five while enjoying the comforts of your game drive. The day is comprised of two game drives, one in the morning and one in the early evening. Your driver's keen eyes will come in handy while exploring the countryside. Dinner and overnight at Amboseli Sopa / Amboseli Serena / Oltukai Lodge / Setrim Amboseli. From the flat plains and swamps of Amboseli travel east to Tsavo West National Park. Outside the park gates are the Shetani Lava Flows, "frozen" rivers of molten black rock twisted in bizarre shapes. At just over 7,800 square miles (20,000 sq Km), Tsavo is Kenya's largest national park. The park is home to a huge variety of animals and birds, especially around the watering holes in this otherwise dry area. During the Fall these watering holes are a stopover for hundreds of thousands of birds on their annual migration south. The Mzima Springs are the source of the freshwater pools much favored by Hippos and crocodiles. There is even a glass wall for viewing the pools from under the water line. Wildlife which can be spotted in this area includes lions, cheetahs, leopards, hyenas, jackals, giraffes, zebras, buffalos, baboons and several species of antelope..
Dinner and overnight at Kilaguni Serena / Finch Hattons Camp / Ngulia Lodge. Breakfast at the lodge then drive to Mombasa. The City of Mombasa provides an interesting experience with the old Portuguese Fort Jesus, Old Town, Markets and Shops. 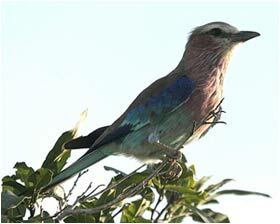 An extensive variety of excursions are available to sample the local culture and the famous Kenyan wildlife. Check into Leisure Lodge Beach & Golf Resort / Sarova Whitesands / Serena Beach Hotel / Nyali Beach Hotel / Mombasa Continental / Severin Sea Lodge / Mombasa Beach Hotel / Bamburi Beach Hotel / Kenya Bay Beach Hotel / Indian Ocean Beach Club / Diani Reef Resort & Spa. Full day own leisure in Mombasa. Enjoy all meals and overnight at the hotel. Option of taking excursions to Mombasa Town, Gede Ruins, Bamburi Nature Trail, Wasini, Tamarind Dhow etc. Day 11: Mombasa – Nairobi. Breakfast at the hotel then transfer to the airport for flight back to Nairobi or road journey to Nairobi. Overnight in a Nairobi hotel. After morning breakfast and leisure in the hotel, transfer to the airport for your flight back home.